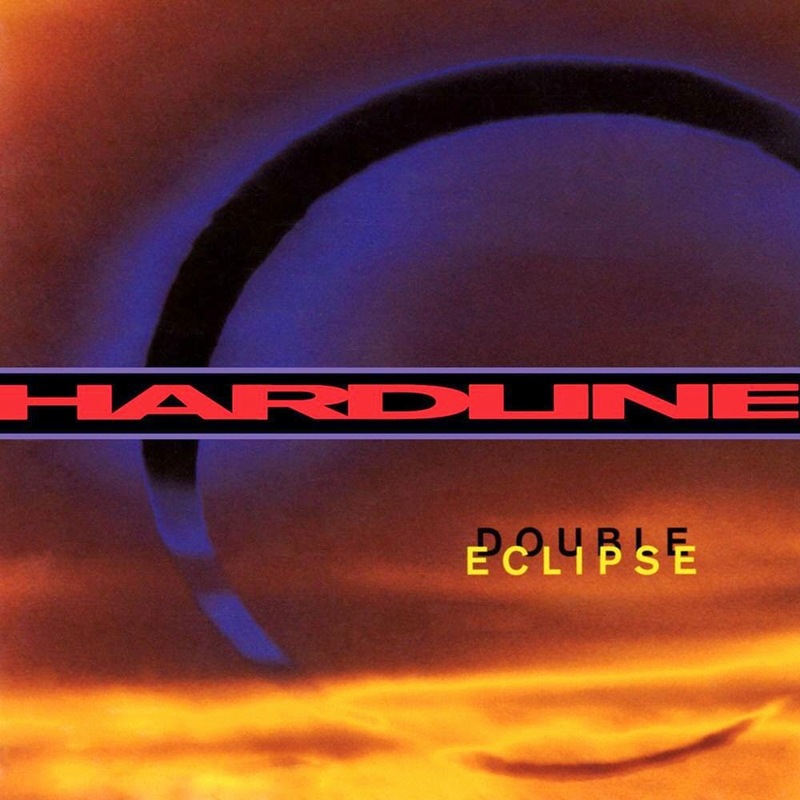 I think it is time for another "classic": Hardline - "Double Eclipse". In the last two weeks this album rotated very often in my CD-Player again. Hardline are one of those bands, who never got the success they deserved, although well-known musicians were involved in making the debut album. Journey's guitar-player Neal Schon and drummer Deen Castronovo as well as singer Johnny Gioeli (who became the vocalist of Axel Rudi Pell) are responsible for this masterpiece. Many people say the band belongs to the AOR genre, but this isn't true - at least on this album they have nothing to do with AOR in the vein of Journey. It is more typical late 80's Melodic Hard Rock with focus on soaring vocals and screaming guitars without slushy keyboards. Hardline managed it very well to combine a rockin' attitude with perfect harmonies and melodies. The whole album never sounded too soft or too hard, it was the right mixture and even the power-ballads had the right balance between heart and balls. There are just too many highlights on this CD so it's hard to recommend you some songs to listen to. Hard Rockers like "Dr. Love", "Hot Cherie" and "Rhythm From A Red Car" belong to my favorites as well as the ballads "Change Of Heart" and "I Can't Find My Way". There is something I'll never understand and this is the Japanease bonus track "Love Leads The Way" - it's simply one of the best songs on this album and I really don't know why this tune didn't make it on the regular version of this release. So if you like to buy this album spend a bit more money and buy the Japanease version (that is also remastered and pressed on a SHM-CD) - it's worth every penny! When I was 16 years old I've listened to this album for the very first time and you know in that age everybody is a bit more rebellious and wants to do everything on his own without any rules and all that stuff and "Double Eclipse" gave me that feeling of this kind of "freedom". I can't really explain it, it just has this attitude like "Do what you want to do" and that also shows up in the lyrics. "Double Eclipse" was released in 1992 and the fact that I could identify myself with those songs as a 16 year old teenager shows how timeless this music is. In the following years Hardline released three more albums but they sadly never reached the high level of the debut. No, it's the opposite: all three disappointed me and they had nothing to do with the first record. Here the AOR influence kicked in and I mean the average sort of AOR. This is no wonder because on every album the band members changed. 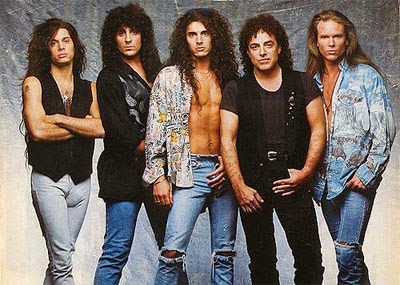 Today only singer Johnny Gioeli is left from the original line-up and he is doing a better job with Axel Rudi Pell nowadays. But this can't change the fact that Hardline created a milestone in this genre 22 years ago. I just can say don't be fooled by the bland and unspectacular cover artwork. "Double Eclipse" belongs in each collection of every true Hard Rock fan!